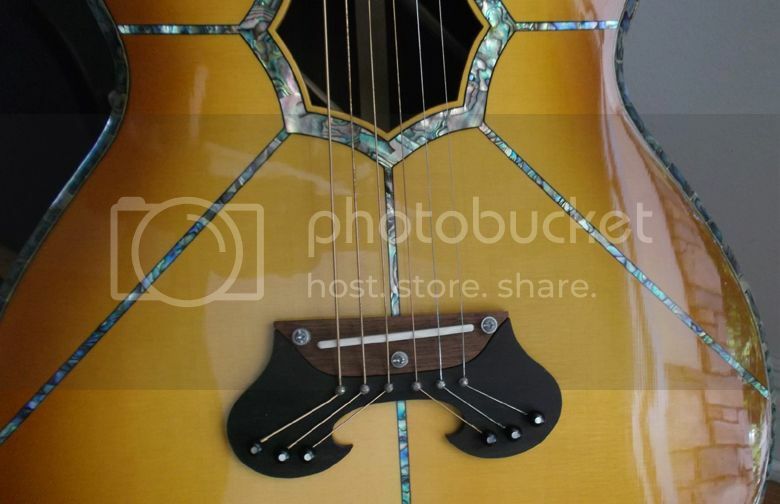 Built by Century Guitars, you'd be forgiven for not realising that it was built to Taylor specs what with all the bling on display: witness that octagonal soundhole and the lashings of pearloid material. That has to be the thickest piece of binding I have ever seen on a guitar! Note how the string anchors are spread out behind the bridge saddle - I think they must have been inspired by Babicz Guitars here. It's too ostentatious for my own tastes, I prefer my acoustics to be good honest workhorses. I'm more interested in how they play rather than how they look, but then again this is a very visual blog and so this guitar is well at home on Guitarz. Currently listed on eBay with a Buy It Now price of $2999. 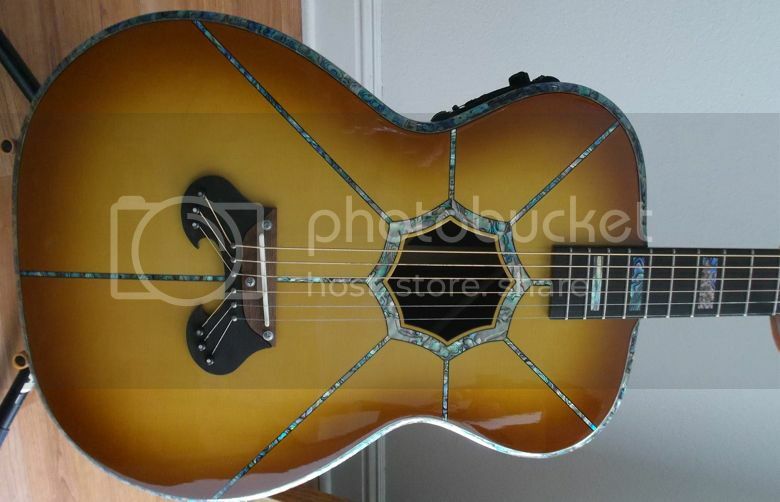 I own (as a gift) a "Century" cg-570 acoustic hand-made guitar (in a very good condition) and have no idea how much would it cost. 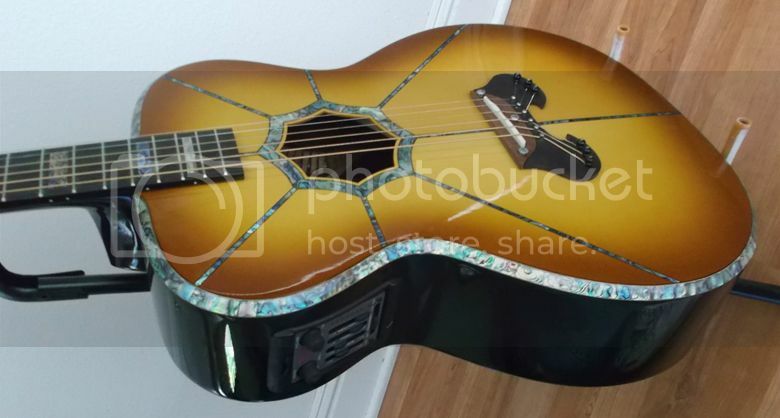 I would be grateful to you, if you could indicate (in case you know) how much such a guitar would cost. Thank you in advance!